Saarlander was established in 1990 to introduce quality German food products into the UK leisure market. We were the first company to supply real German Bockwurst sausages in ambient vacupacked form, precooked and without the need for refrigeration. A ready acceptance for these products was for use in the hot dog market existing in football and rugby stadia and outside catering facilities where quality, allied to their ambient characteristics, made for easy storage. 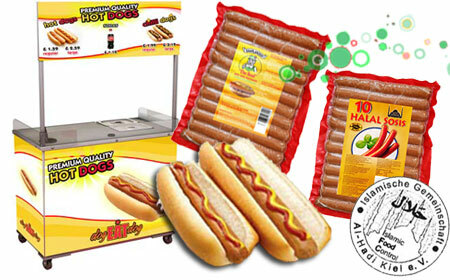 One of Europe’s major manufacturers, has ensured the perfect “Taste of Germany”. Our sausage products are made to traditional recipes by the company “Hartzlander” in the beautiful Hartz mountain region of Lower Saxony, to the strict German food laws that specify that no cereals, bread or artificial colourings are allowed in their production. They have a minimum meat content of 85%, are gluten free and smoked over real beechwood chips. equipment & comprehensive business guide, from £1,495 + delivery + VAT. individuals or businesses can be financed.